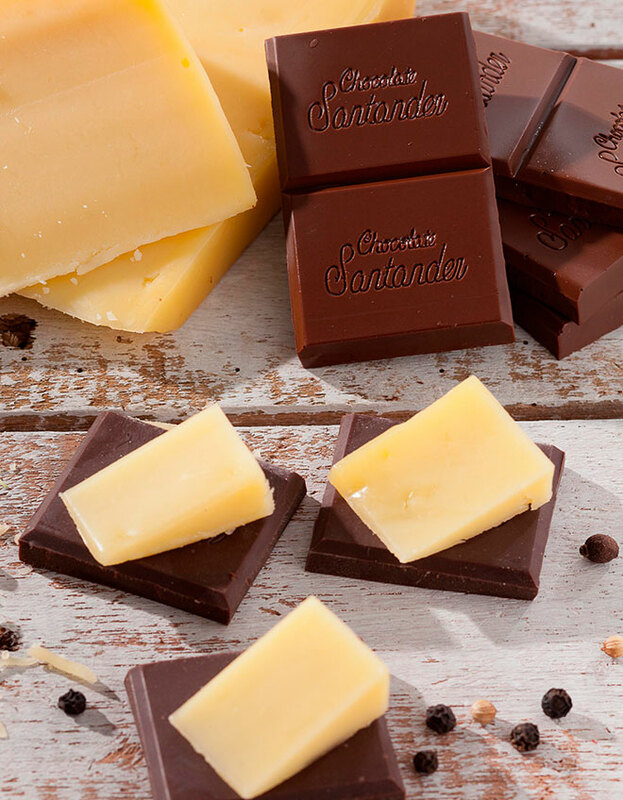 The taste of Provolone cheese can vary depending on its maturity; combining it with 65% Chocolate Santander brings out all its aromatic and smokey characteristics, making this an exceptional pairing. To optimize the experience of Roquefort cheese, add small amounts of it over chunks of 65% Chocolate Santander, so you can better appreciate its intense flavor and smell. It’s a combination you have to try!.